Why we need to change the way we're talking to girls about periods. Feeling that her period had just come on in class, she sat there mortified. What now? Her school had a hard and fast rule – no toilet breaks during class. Her stomach flipped with shame and embarrassment. What if, when she stood up after class, she would have to make the walk of shame to the toilet with the marks of her menstruation there for all to see? And then what? She hadn’t bought any pads with her to school as her period was not due for another two weeks. She sat there holding back tears. This is the story my friend shared with me about her 16-year-old daughter’s experience at school. Her daughter now begs her mum to let her stay home from school at “that time of the month”, because she thinks it’s disgusting and embarrassing to be at school on your period. As someone whose job involves working with the Toilets Change Lives program, which has provided improved sanitation to more than a million people to date, I get my fair share of toilet stories from my friends. When I heard this one I was shocked. This was not happening in one of the many under-developed countries where we work with partners, like UNICEF and WaterAid, to help improve access to clean and safe toilets. This was in Australia. In a private school in the city. Seriously? And this is happening in schools across the country – we are simply not providing the very basic necessities to ensure our girls are empowered not embarrassed during that “time of the month”. Why isn’t this issue being discussed more broadly? "My friend&apos;s 16-year-old daughter begs her mum to let her stay home from school at &apos;that time of the month&apos; because it’s disgusting and embarrassing to be at school on your period. This needs to change." Image: Supplied. I’ll tell you why - it’s because there is still shame, embarrassment and negative stigma connected to a woman having her period. As a mum of two young daughters, this story from my friend inspires me every day to put an end to period shame. I want to ensure that by the time my girls get their periods they can feel comfortable and confident at school. Let’s start with making sure all the toilet doors have locks. Let’s ensure there is a sanitary disposal unit in every toilet cubicle. Let’s provide sanitary dispensers in girls’ toilets. Let’s make sure teachers are educated and made aware of the sensitivities. And, for goodness sake, if a girl needs to go to the toilet during class, let her! There’s definitely work to be done to help girls in Australia but the story is so much more worse in underdeveloped parts of the world. Imagine waiting all day to use the toilet. Then in the cover of night, having to worry about finding a secluded spot and risk being attacked in the dark. Or having to walk to the river near your home to go to the bathroom. The same river that provides the water you use to cook for your family. This is the reality for some of the one in three people around the world who do not have access to a clean, safe toilet. Now imagine the indignity if you were also trying to manage your period. Women and girls are acutely affected by the issue of lack of access to sanitation. Millions of girls every month miss school rather than face the embarrassment and indignity of not being able to manage their period effectively. As mums, women, sisters, aunts and friends, we have a duty to call this out and acknowledge that something as natural as a women’s period should not be a source of bias and negativity, and absolutely should not be holding back the progress or self-confidence of women and girls. Next week Australia will play host to the World Toilet Summit in Melbourne where I’ll be chairing a panel discussion on sanitation, hygiene and menstrual hygiene management. 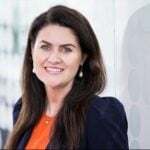 I’m looking forward to leading a discussion involving Dr Nina Hall from the University of Queensland who undertook research into water, sanitation and hygiene in remote indigenous communities, UNICEF, the National Aboriginal and Torres Strait Islander Women’s Alliance and Mark Balla from We Can’t Wait. But we need to get comfortable having many more discussions about this sometimes uncomfortable subject. This Sunday (19 November) is World Toilet Day and I invite you to join the conversation at #WorldToiletDay. Nothing should get in the way of women and girls progress – particularly something as natural as a period. Jacquie Fegent-McGeachie is a mum of two beautiful girls and Global Director at Kimberly-Clark. Click the links for more information about World Toilet Day and Toilets Change Lives.